Moderate Alcohol And Breast Cancer: Real Epidemiology Or Just Statistical Correlation? On occasion there are renewed claims that even moderate alcohol consumption might "cause" breast cancer. As science advances so do claims about new ways to suggest harm. An example is recent claims about epigenetic alterations and lifestyle behaviors. Yet there are flaws in such a simplistic approach to correlating one lifestyle option out of hundreds, like modest alcohol consumption, and breast cancer, which comprises 21 subtypes with each subtype displaying its own unique pathological signature. 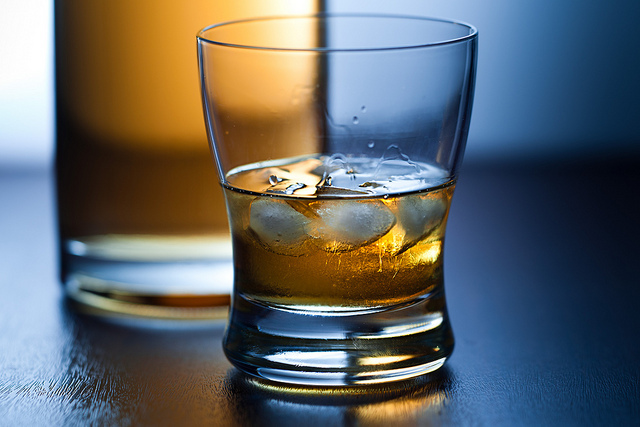 In Cancer, the authors of a new paper highlight controversial instances where epidemiological studies -- and meta-analyses -- have been used to show associations between alcohol consumption and increased risk of breast cancer - and they offer a solution. Since epidemiological studies are observational they can only rule out causation, they can never show it, but meta-analyses have become so popular, 11,000 of them produced just last year, because journalists do not understand what epidemiology really is. The premise of legacy epidemiology is that patients with the same diagnosis (e.g., breast cancer) have similar causes and disease progression despite variations in molecular pathology. Because each tumor possesses its own unique characteristics, such as molecular makeup, microenvironment, and communications within and between cancer and host cells, it is essential that epidemiologic research rely on modern molecular classification of disease. Therefore, inferences of causation can be strengthened by the interpretation of data from genomics, epigenomics, metabolomics, transcriptomics, exposomics, proteomics, molecular epidemiology, microbiome, and immunomics, among others. Yet epidemiology often fails in this task, as anyone who has seen claims from a Harvard TS Chan School of Public Health Food Frequency Questionnaire can attest. By now, epidemiology has shown almost everything can cause or cure cancer. Knowledge derived from mechanistic studies might be able to do what epidemiological correlation cannot. All cancers are subject to a combination of intrinsic and accidental factors - sometimes harmful mutations are the result of bad luck due to family history, sometimes they are due to all-natural cosmic rays, sometimes they are due to real carcinogens like cigarette smoking. Epidemiology has not been much help in anything except smoking. When it comes to links between alcohol consumption and breast cancer, there is often measurement error, because epidemiologists rely on self-reported claims about alcohol consumption. Yet if the epidemiologists subconsciously want a link to exist, multiple ignored confounders/risk factors can easily distort an exposure-outcome association and yield misleading results that groups feel are legitimate. This is what has happened to the International Agency for Research on Cancer (IARC). You now cannot get onto a Working Group unless you are part of a particular cultural demographic, which has now famously led to bias in its results. And a polygenic disease like breast cancer is beyond the understanding of epidemiologists. It takes decades to develop so determining the molecular pathologic signatures of each subtype is important to enhance causal inference and identify potential biomarkers for clinical impact and response to treatment. Observational epidemiology would first need to overcome its persistent methodological problems. Meta-analyses might help, because they collect and summarize information from many single observational studies - they should make underpowered studies more reliable. But since those are now often being used to create provocative conclusions (and thus media attention) they may be plagued by different study design, vast variation in the quality of studies, variation in definition of various confounders, confounders included in various studies, and selection bias by including studies favoring certain outcomes. That's without data dredging, p-hacking or HARKing (hypothesis after the results are known), which have become a problem because positive results are published while negative results are not - and publishing is how government grants get renewed. It's never been more apparent that observational studies and meta-analyses are not enough to identify causal relationships. The world needs real science to get real answers, and that will come from the molecular world, not the statistical one.